It may be true to say that VA London do buildings, but it doesn’t tell the whole tale. VA London do buildings like Rolls Royce do cars. 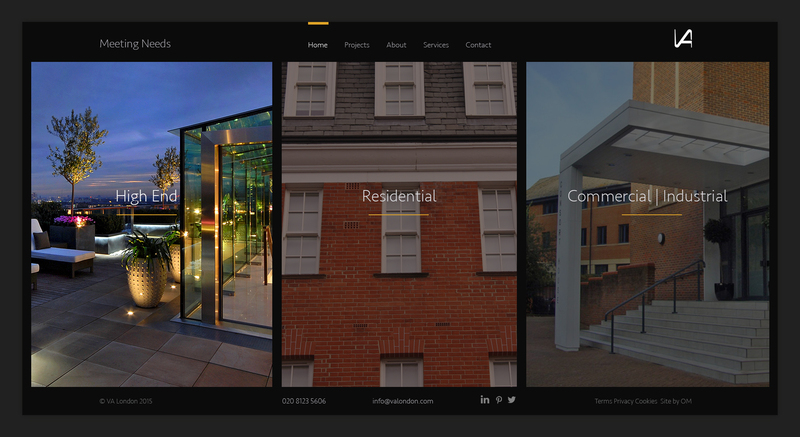 They are an architectural consultancy which specialises in the High End Residential Super Prime London market, alongside Grade I and Grade II listed buildings. Which is to say they look upon breath-taking luxury as merely the start of the journey, not the final destination. They handle every aspect from planning and completion through to brochures and sales, with an eye for detail that puts the deluxe in luxury living. 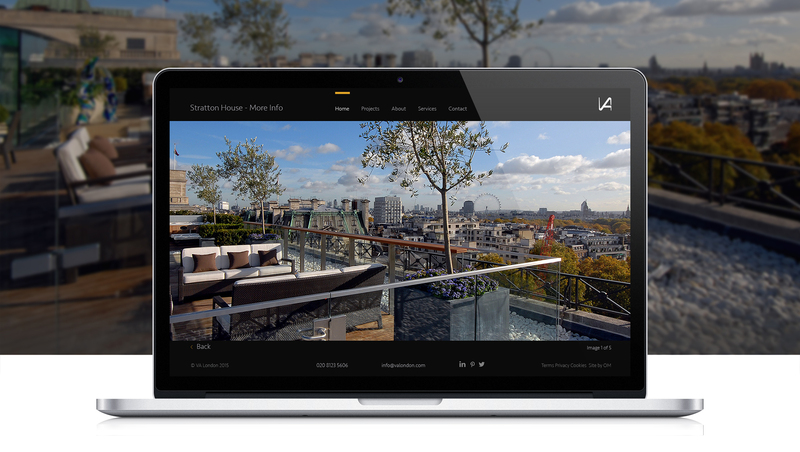 VA London wanted an online presence capable of engaging more effectively with new clients. Their aesthetic sensibilities, impeccable taste and inability to settle for second best made them the perfect OMdeSIGN client. They wanted a site that was full screen and easy to navigate, accessible via mobile devices and easily updated with both text and images. 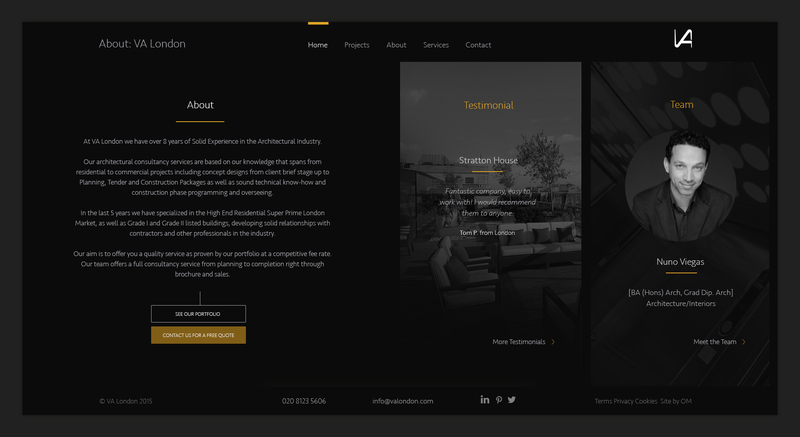 We said that was the easy part – we’d also deliver a site which captured the supremely luxurious USP of their properties. Behind the scenes we created a Content Management System enabling VA London to update details of their projects and news quickly and easily. Front of house was a showcase of large format fluidity which put the properties and the values embodied by them firmly centre stage. 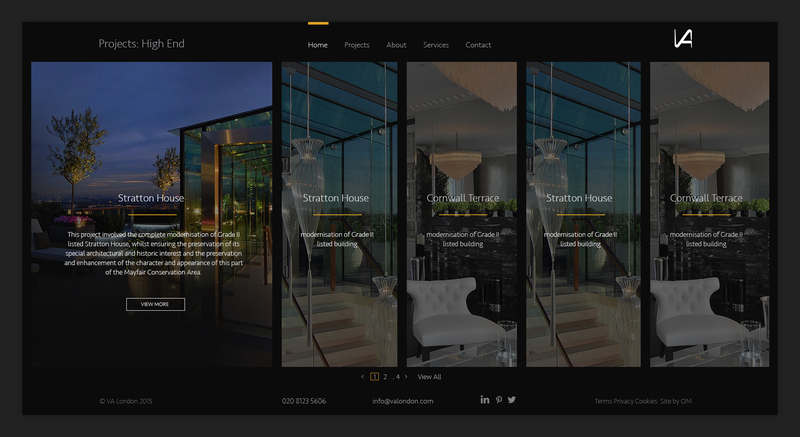 Like the luxury houses and breath-taking developments it highlights, the website is bespoke, top end and undeniably impressive. The VA London brand was boosted hugely by the creation of a site which showcased both their new direction and an adherence to old fashioned values like quality, class and impeccable taste.